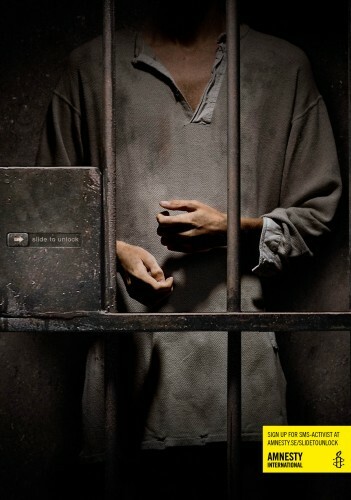 In a campaign to recruit activists Amnesty International utilizes the ”slide to unlock”-function of the iPhone. Swedish agency Garbergs has created wallpapers for iPhones and iPads showing incarcerated prisoners. When unlocking the device the user unlocks the cell or chain that holds the prisoner captive. Amnesty International Sweden launches the campaign to raise awareness about the Amnesty Urgent Action Network and to get people to sign up to become SMS-activist (Texting activist). The campaign also includes ads in the iPad issue of Sweden’s largest newspaper DN, digital outdoor screens and traditional print ads. 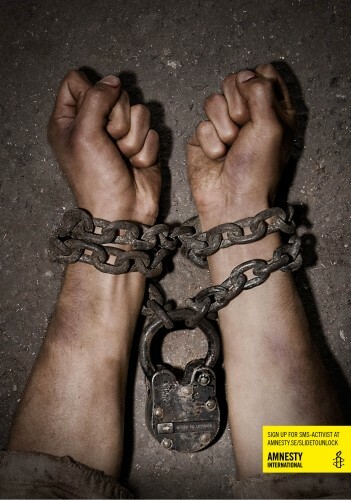 The International Secretariat of Amnesty has recently decided to promote the campaign globally.